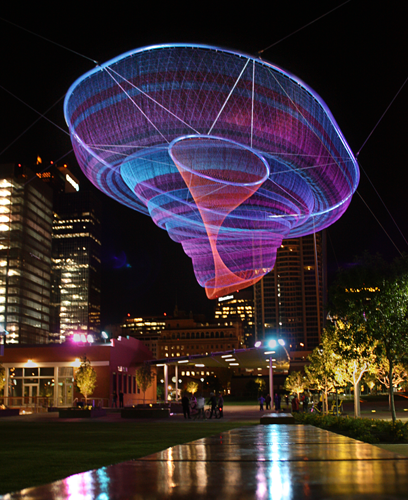 Have you seen the work of artist Janet Echelman ? Truly wondrous...by thinking far outside the box she creates and reshapes the idea of urban architecture with the installation of fluidly moving sculptures that respond to environmental forces including wind, water and sunlight. 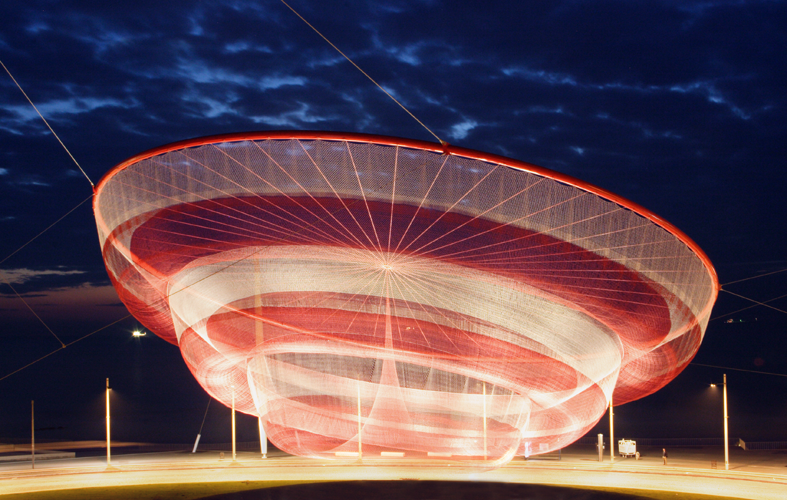 While on a trip to India she found herself watching local fisherman bundling their nets and began to wonder if the nets could be used to create tremendous, softly moving sculptures which could be set against the harder lines of a city. She now creates these sculptures around the world in major cities. Almost equally important to these creations is the incredible message to live outside the box a little, let your imagination go to places you might never have thought to go and see what happens when you are there. Think about things on a bigger scale and dream just a little bit bigger than you ever have. Let your mind wander, get lost a little, who knows what you might find. ﻿...and here she is in her own words telling her story and the evolution of her art. To see the rest of her work click on over here.